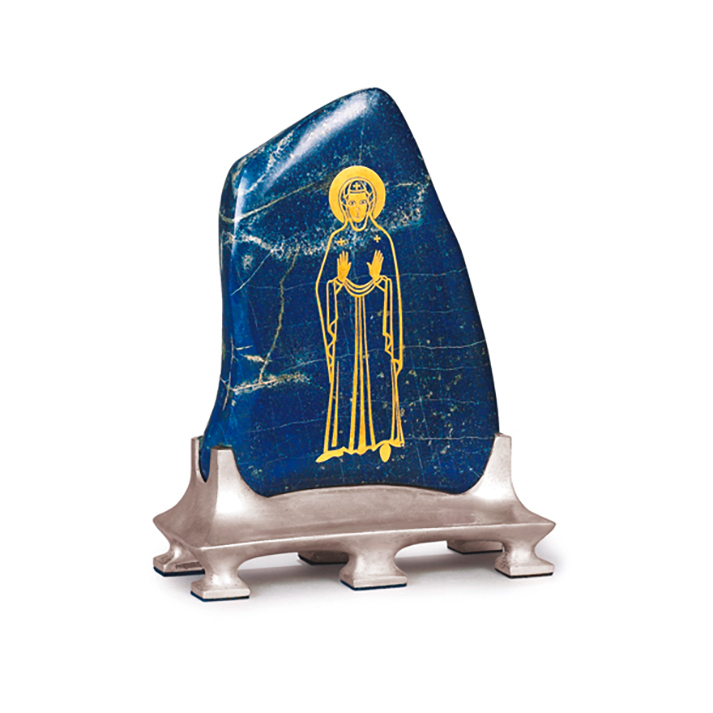 This exceptionally large piece of Afghan lapis lazuli, inlaid with the image of St. Mary in gold, mounted on a silver stand, was commissioned by Walter May, the world renowned interior decorator from Cologne in the mid 20th century. 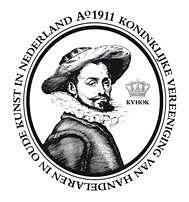 He had the privilege to furnish castles, embassies, residences and palaces, especially in the Middle East. King Faisal of Saudi Arabia and Emperor Haile Selassie of Ethiopia were among his clientele. He was also requested to decorate the Ministry of Foreign Affairs in Afghanistan. From this country he took the large piece of lapis lazuli with him to Cologne, where he asked Professor Elisabeth Treskow, to transform this blue-coloured precious stone into an object for personal devotion. Professor Elisabeth Treskow(Bochum, 1898-Brühl, 1992) derived the image of St. Mary from early Byzantine examples. Treskow, who had an impressive career as a gold and silversmith, became a Catholic, after she had been given the opportunity to work on the famous Shrine of the Three Kings is the Cologne cathedral.